With the high-profile offensive to retake Tikrit from the Islamic State stalled, signs of division are appearing between Shia militias and Iraq’s Army. 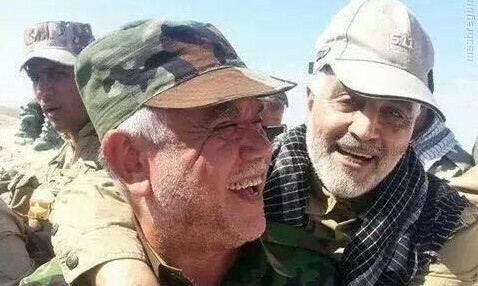 Al-Amiri was responding to a comment by the Iraqi Army’s Lieutenant General Abdulwahab al-Saadi, a senior field commander at Tikrit, that he had requested U.S.-led coalition airstrikes “to win the battle in a more efficient and less costly manner”. However, the US military said that the Iraqi Government had not made any request for the air support. The Badr Brigades are close to Iran’s military, which has provided commanders such as General Qassem Soleimani — the head of the Revolutionary Guards’ elite Qods Force — for the offensive. The Iraqi Army and Shia militias advanced rapidly on Tikrit in the first week of the offensive. However, they have been stalled for more than a week after they moved into parts of the city, taken by the Islamic State in its lightning move through northern and eastern Iraq last June. Iraqi officials initially said that the offensive had been checked by booby-trapped roads and buildings, but later reports indicated that the Islamic State resistance had not been broken, as Iraqi commanders said they were awaiting reinforcements. Al-Ameri said Sunday that bombardment of the city is ongoing, but “we will not enter Tikrit until after the completion of the necessary preparations”. He said these were about equipment, not additional personnel.